This is considered to be one of the most affordable models in the market. Its performance though is not sacrificed to make it seem like a cheap imitation of other mountain bikes. It is still well capable of riding together and on par with other more expensive models. 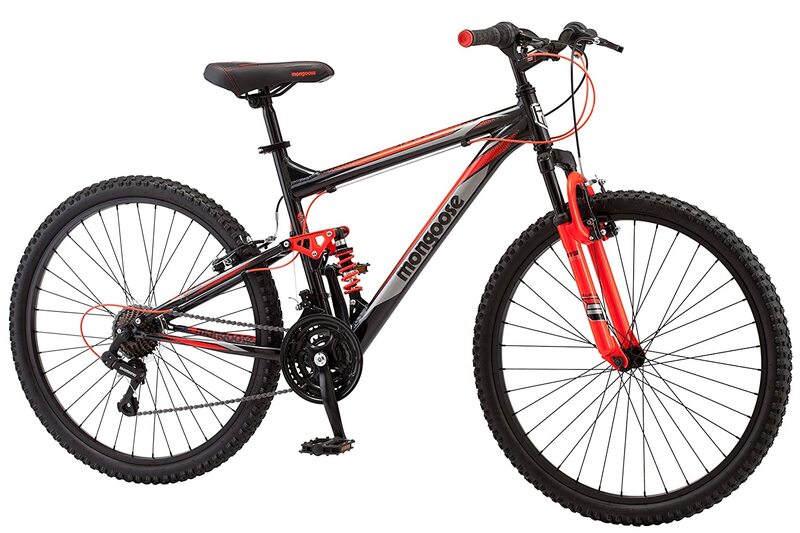 This model has the Mongoose Aluminum full suspension frame. The material used for this specific frame gives it the durability to survive any terrain. The full suspension frame design makes it also very easy to handle especially for beginners. Along with the alloy frame are alloy rims for its wheels. Like the frame, these rims are designed to ride through rough terrain without compromising durability and speed. You as the rider then will not have to worry about having to replace an entire wheel simply because your previous rim was not able to take the impact of a sudden stop or jump in a course. These two rims alone are testaments to the durability the model. It can provide good performance even if you use it in some rough terrains and conditions. In terms of stopping power, it has linear pull brakes for good stops. Again, this is a level lower than models that use disc brakes. Still, it is capable of stopping your bike even at top speed without breaking. It is recommended though that you upgrade this into a disc brake if you have the funds. That added expense will still allow you to save more than if you buy units that come with disc brakes. The speed control is provided by the 21 speed Shimano rear derailleur with SRAM twist shifters. And like other shifters, this model can perform well in constant gear changes to adapt in a specific situation or terrain. You do not have to worry about its durability as well since this model is capable of withstanding even a sudden gear change. Casual riders are best suited for his model, but as what was mentioned, it can still be used in rough roads if need to. If it has been used in hard courses regularly though, it would be best to check the components immediately to ensure that nothing has been damaged. 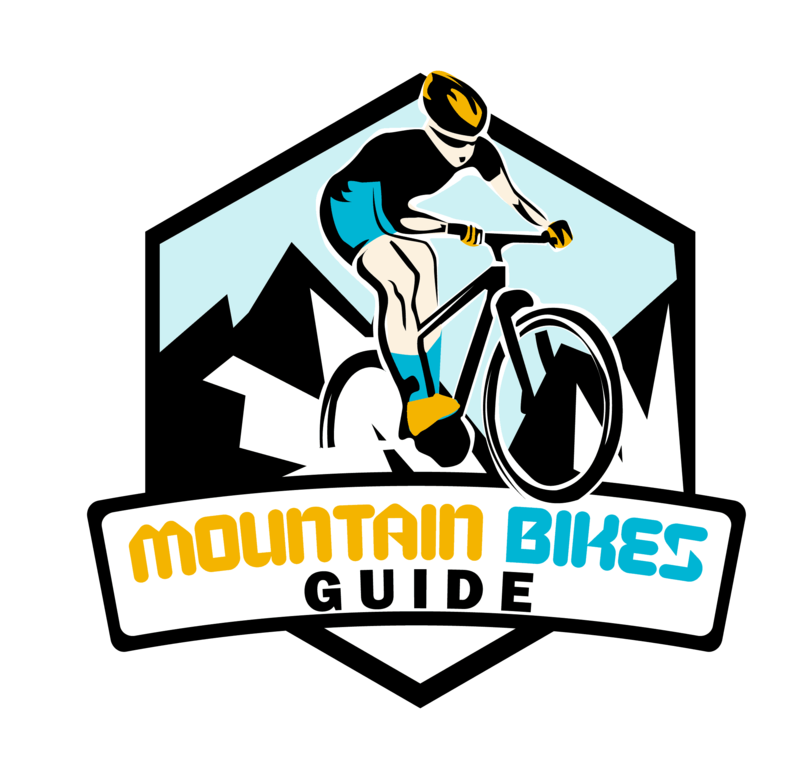 Taking of this model properly is the key in its ability to go toe to toe with more expensive mountain bikes. This is a unit worth buying if you are in a tight budget by the time you would like to buy a bike but is considering to upgrade its parts in the future. The specifications it has with it upon delivery are more than enough to perform well in casual riding. Using it in rugged courses from time to time will also not compromise its performance. But again constantly check your unit after every rough terrain you encounter to ensure it will still perform the best it could by the next time you use it.